A Tidal acquisition would give Apple Music even more artist exclusives. Jay Z and Apple might be joining forces. Apple has dominated the jigga man’s streaming service, Tidal, ever since the launch of Apple Music one year ago, but a new report claims that the iPhone-maker is in exploratory talks to acquire the music streaming service. “The talks are ongoing and may not result in a deal,” reports the Wall Street Journal, which says Apple is considering buying the company as a way to bolster its strategy to spend tons of cash on artist exclusives. Tidal was launched by Jay Z in 2015 alongside a cadre of popular artists, promising artists greater revenues than those offered by Spotify and Apple Music. The streaming service has a similar marketing strategy as Apple, spending big on exclusives like Kanye West’s Life of Pablo. Despite scoring exclusives from everyone from Rhianna to Madonna, Tidal has struggled to keep up with the pace of paying subscribers Apple Music and Spotify are adding. 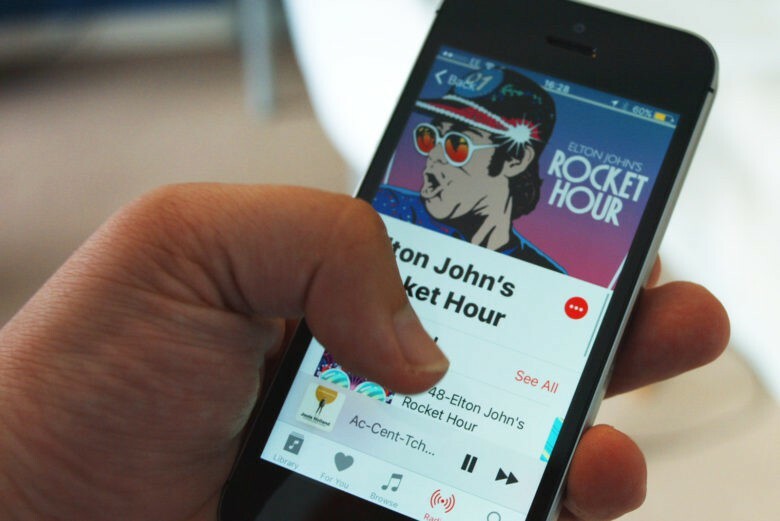 Apple Music boasts more than 15 million paying listeners. Spotify has 30 million. But Tidal only has 4.2 million. Both Apple and Tidal are remaining silent about rumors of the talks. Terms of the possible deal haven’t been revealed, but it would likely be more than the $56 million Jay Z paid to buy the company in 2015.